An "Old Ladera" gem. This 3 bedroom, 3 bathroom, beautifully renovated home has been well maintained and is ready for you to bring your suitcases and move right in. Brick exterior detail accents this home as you step onto the marble entry. The maple wood inlay floor leads you to the living room with a brick fireplace and Plantation Shutters that compliment the home throughout. The grand "entertainers" family room features a marble fireplace and mantle and French Doors that open to the backyard. The adjacent formal dining room has a French Door that opens into the remodeled eat-in kitchen with newer stainless steel appliances and ceiling fans, granite counter tops, glass-front cabinets and a window box. An adjacent bonus room with en-suite bath can be used as a 4th bedroom or office. Two additional bedrooms reside on the 1st floor. The private en-suite Master Bedroom with walk-in closet and a view overlooking the backyards water fountain and tropical garden encompasses the 2nd floor. 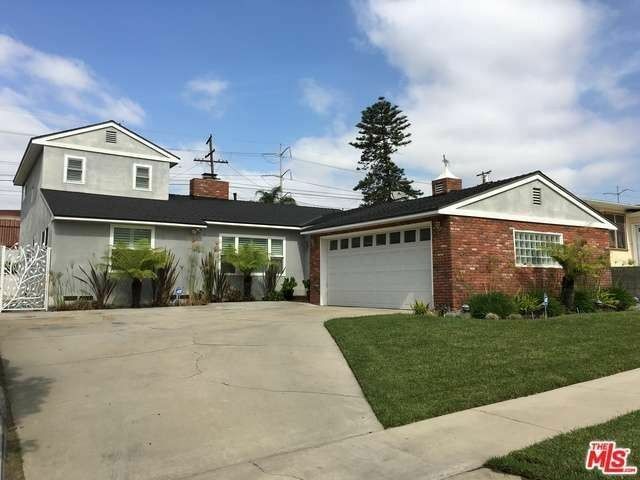 Near Silicon Beach, the new LA Rams and Culver City, this home is perfectly situated to take advantage of all of the amenities that Los Angeles has to offer. KWLS listings last updated Apr 24, 2019 5:22:pm. The Bates|Hennington team are experts in Los Angeles' Historic Preservation Overlay Zones (HPOZs). To find further information on HPOZs and the City ordinace that controls them, please go to www.preservation.lacity.org/hpoz/la. If you are interested in joining a community organization that works to preserve historic properties in Los Angeles, go to www.laconservancy.org or www.westadamsheritage.org, two organizations that the Bates|Hennington team belong to and support.